PM Modi along with his Israeli counterpart Benjamin Netanyahu visited Haifa today, to pay homage to the Indian soldiers who helped liberate Israel in 1918. 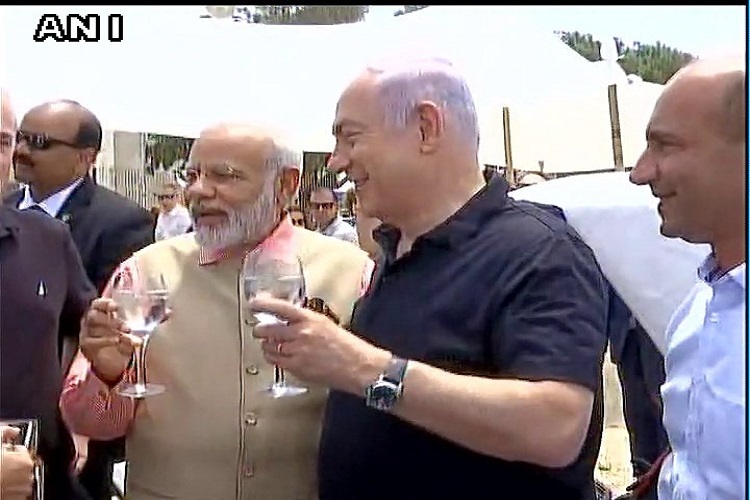 PM Modi visited the cemetery on the last day of his visit to Israel. “This is the final resting place for 44 of the Indian soldiers who sacrificed their lives during World War I to liberate the city,” the PM had said before visiting the site. After paying their respect to the martyrs, the two leaders headed towards the Dor beach in Haifa. 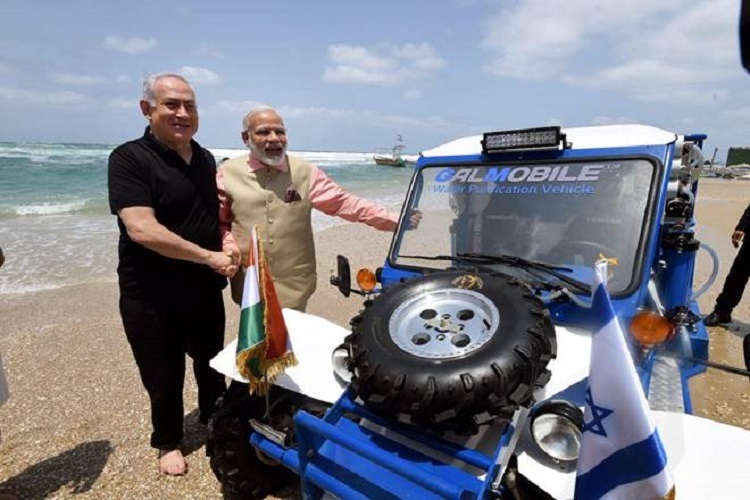 In the videos and the pictures, PM Modi and his Israeli counterpart were seen enjoying at the beach. They were standing ankle-deep in water and confabulating seriously for quite a while even as the waves lapped at their feet and trousers. It made for a spectacular scene. Not just within the four walls of the office, the two leaders bonded at the sea shore of the Dor beach. 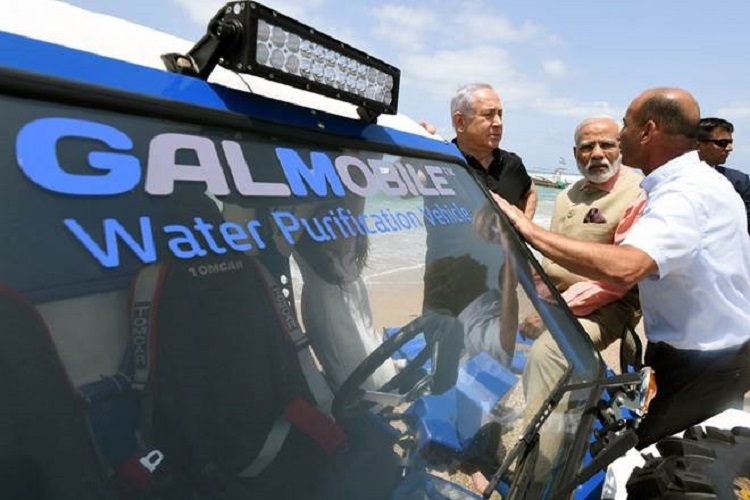 According to reports, PM Modi was given a demonstration of a mobile water filtration plant, at the Dor beach. 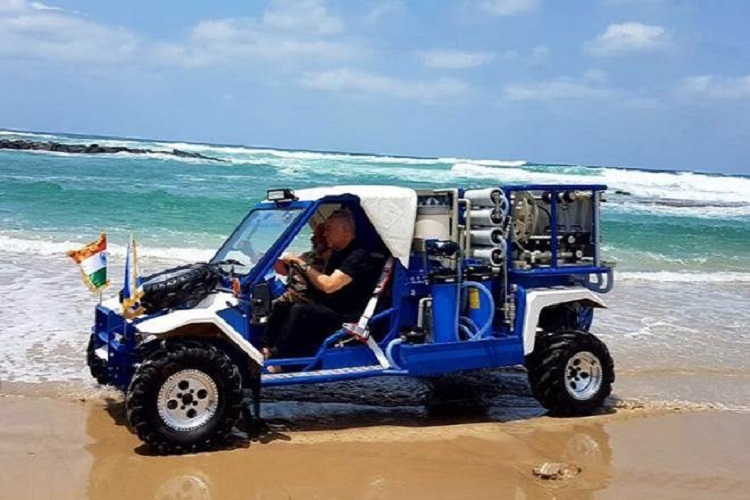 “PM Netanyahu and @PMOIndia @narendramodi attend a demonstration of a mobile seawater desalination unit,” was tweeted by the PM of Israel. Notably, the Indian Army commemorates September 23 every year as Haifa Day to pay its respects to the two brave Indian Cavalry Regiments that helped liberate the city following a dashing cavalry action by the 15th Imperial Service Cavalry Brigade. In 2012, the municipality of Haifa decided to immortalise the sacrifices made by Indian soldiers, many of whom are buried in the cemetery here, by including the stories of their valiant efforts in school syllabus.